Nitrogen,hydrogen,oxygen,argon,ammonia, Helium, Hydrogen, Gas, Etc. Double Ferrule, NPT Threaded, Welded, Tube, Hose Barb Etc. Straight union, like U, MC, TAF etc. 90° elbow: like ME, UE, EBW, FE etc. T(tee, 3 way): like MRT, MBT, UT, MT etc. Cross(4 way): like UCR etc. Thread: NPT male thread, NPT female thread, PT male thread, PT female thread. Ferrule: like U, it can be directly connected to tube. Welded: like one end of EBW. Tube: like one end of TAM. 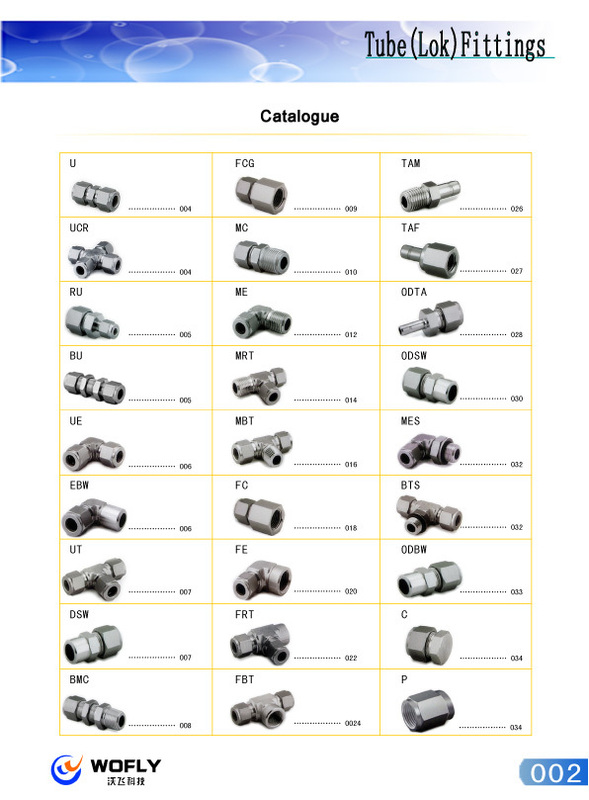 All the compression fittings are used for gas or oil. Very very low leak, can be negligible. Q1. What products can you provide? 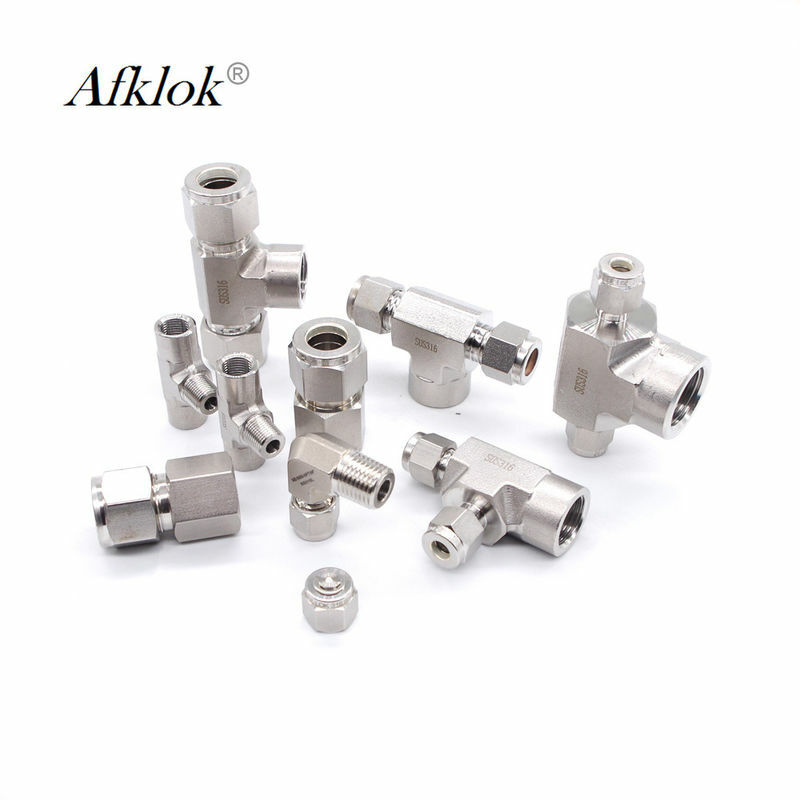 Re: Compression fittings(connections), hydraulic fittings, tube fittings, ball valves, needle valves etc. Q2. Can you make the products based on our requests, such as size, connection, thread, shape and so on? Re: Yes, We have experienced techincal team and can design and produce the products according to your requirements. Q3. What about the quality and price? Re: Quality is very good. Price is not low but pretty reasonable at this quality level. Q4. Can you provide samples to test? For free? Re: Of course, you can take several to test firstly. Your side shall bear the cost due to its high value. Q5. Can you operate OEM orders? Re: Yes, OEM is supported though we also have our own brand named AFK. Q6. What payment methods for chose? Re: For small order, 100% Paypal, Western Union and T/T in advance. For bulk purchase, 50%T/T, Western Union, L/C as deposit, and 50% balance paid before shipment. Q7. How about the lead time? Re: Usually, delivery time is 5-7 working days for sample, 7-10 working days for mass production. Q8. How will you ship the goods? Re: For small amount, international express is used mostly such as DHL, FedEx, UPS, TNT. For large amount, by air or by sea. Besides, you also can have your own forwarder pick up the goods and arrange the shipment. My dear friend, if you wanna know more information about our products, kindly send me inquiry or email, we will reply you within 24 hours! 4. Media: what fluid is used for? Gas,oil? 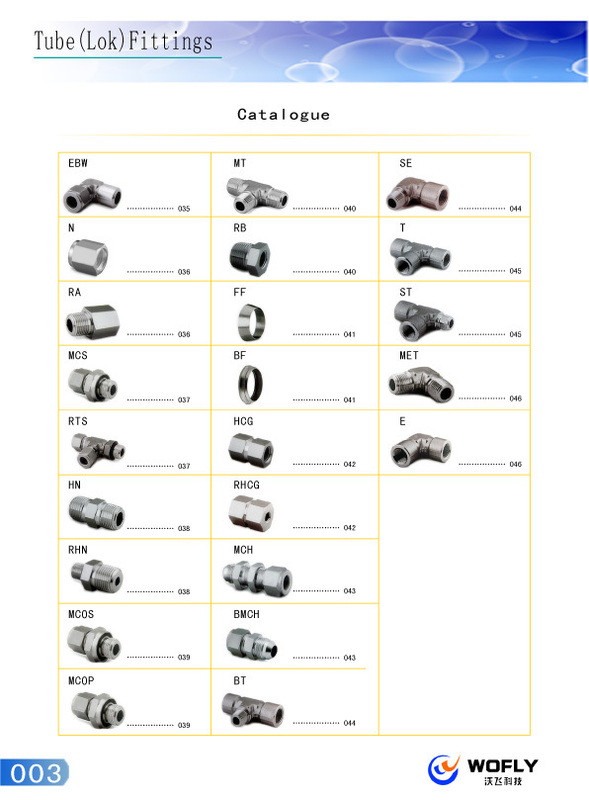 Please describe what kind of fittings do you need, then we can send you the exact model and quotation. 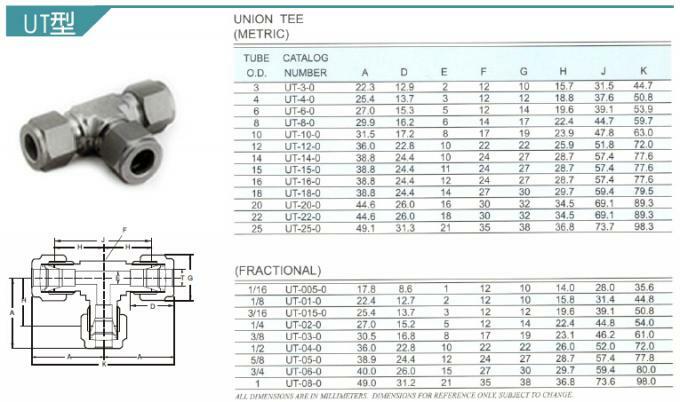 For example, 90 degree elbow, one end is NPT male thread, the other is double ferrule(directly connected to tube), hydrogen gas, 1500psi, 3000pcs.